Good News! We've received your credit application. A member of our team will get back with you as soon as possible. If you need immediate assistance please call us at 1-800-343-6255. 1. We receive your credit application and verify it is completed in full. We may contact you if there is any additional information that our lenders might need to provide you the best possible loan terms. 2. We then review which lender can provide you the most competitive and flexible financing option and best suits your budget in regards to monthly payments and loan terms. 3. A member of our Business Office will contact you with our findings and you determine what option best suits your financing goals. 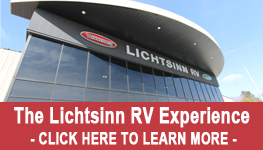 Thank you for the opportunity to work with you on your upcoming RV Purchase and your Financing needs.